HomeEntertainmentRussell Peters is back in Manila for Deported World Tour! 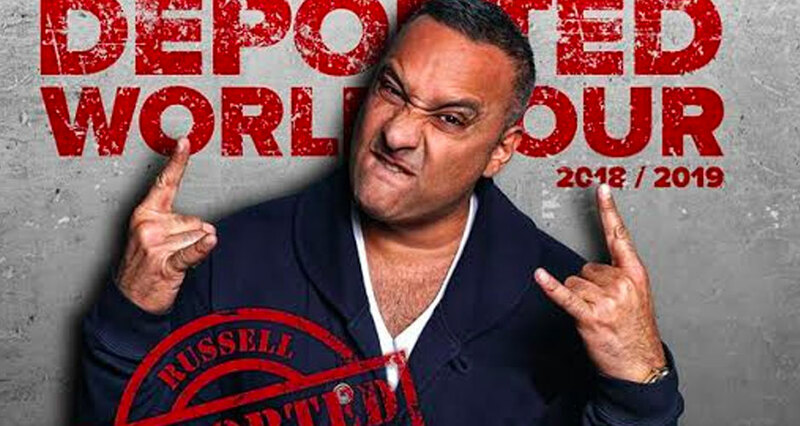 Russell Peters is back in Manila for Deported World Tour! 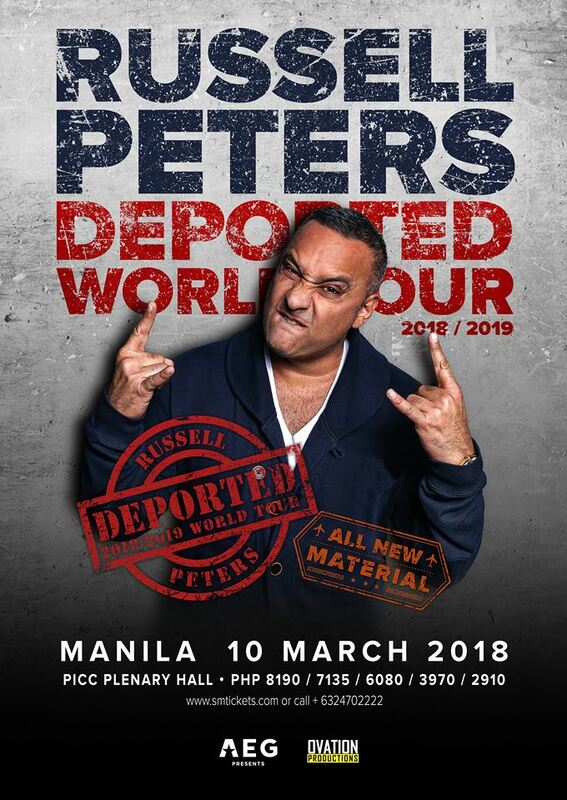 AEG Presents and Ovation Productions are thrilled to announce that global comedy phenom RUSSELL PETERS will bring his DEPORTED WORLD TOUR to MANILA on 10 MARCH 2018 at the Philippine International Convention Center’s Plenary Hall. Tickets for the March 10 show priced at P8190, 7135, 6080, 3970, 2910 will go on sale 10 am of January 8 via www.smtickets.com. Peters returns to live touring after taking time off stage since the filming of his last special, Almost Famous for Netflix in April 2016 in Toronto. In between, he’s produced and starred in his own comedy-drama limited series for Netflix, The Indian Detective. The Indian Detective also stars Anupam Kher (The Big Sick, Silver Linings Playbook), William Shatner (Star Trek), Christina Cole (Suits, Casino Royale), Mishqah Parthiephal (Keeping Up with the Kandasamys). The Indian Detective will air December 19th on Netflix globally. Peters has also appeared in the still unreleased films, The Clapper with Ed Helms, Amanda Seyfried and Tracy Morgan as well as Supercon with Ryan Kwanten and John Malkovich, and Public Schooled with Judy Greer. THE DEPORTED WORLD TOUR will also feature one of David Letterman’s favourite comics, the legendary raconteur of weird stories, comedian Jake Johannsen. THE DEPORTED WORLD TOUR will take Peters around the world with shows well into 2019. The Asia dates follow a run through Australia and New Zealand. His last tour travelled to over 26 countries with over 200 performances and more than 300,000 fans in attendance. Previous ArticleWatching movies with SM Cinema is so app-cesible!